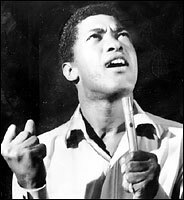 In the summer of ’63, Cooke, already the first R&B singer to write and publish his own hits, ached to make music that reflected the new day. The preacher’s son, who was born in Mississippi and grew up in Chicago, was going to the mountaintop with his songs. But then unspeakable tragedy came, first when his only son, 18-month-old Vincent, drowned in the family swimming pool in July ’63. Cooke told friends that he didn’t want to go on living, and he buried himself in his work. At the end of the next year, 33-year-old Cooke would also be dead, half-naked and bleeding on the floor of a $3-a-night motel lobby in Los Angeles. “Lady, you shot me,” were his last words. 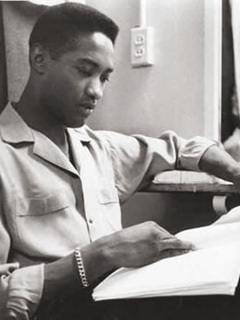 Sam Cooke wanted to be the perfect person, according to his former manager Allen Klein. “He wanted to reach any group. He wanted to sing it any way. He wanted to be everything,” Klein said in the recent “VH1 Legends” episode devoted to the first gospel superstar to switch to the R&B/pop field. For one who epitomized grace, from his smooth phrasing to his flawless looks, Cooke died an especially hideous death. Although details remain murky because there had only been a cursory investigation, biographers generally concur that Cooke had checked into the Hacienda motel the night of Dec. 11, 1964, with a 22-year-old woman he’d just met. While he was taking a shower, she reportedly split with his pants and money. Enraged and thinking night manager Bertha Franklin might’ve been in on the fleece, Cooke charged her office with his eyes aflame. Franklin claimed self-defense after Cooke lunged at the gun she was pointing, and she was never charged. The black community, which refused to accept the official police report (conspiracy theories persist), solidified in grief. A memorial service in Chicago brought more than 15,000 mourners out on a below-zero day. At the burial in Los Angeles two days later Ray Charles sang “May the Angels Watch Over You” to a hysterical audience. 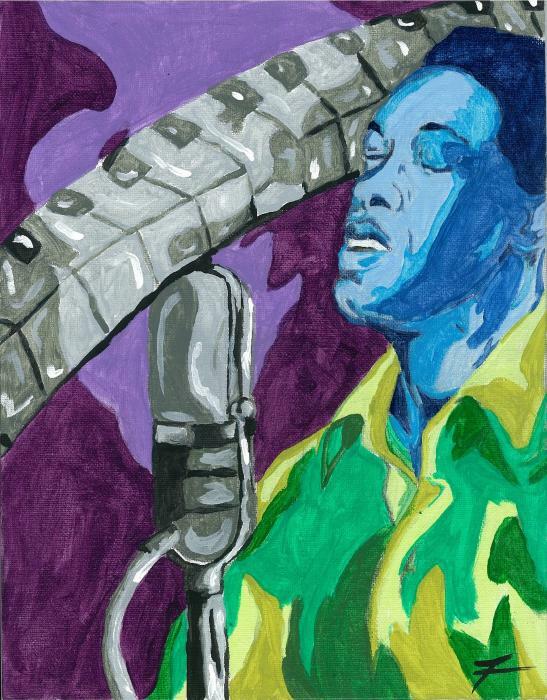 The realization that Sam Cooke would never sing or write another song was devastating. A man with a unquenchable desire to build, create and control, Cooke wanted white fans as well as black. Like Nat King Cole, a major influence, Cooke clearly enunciated his lyrics, perfected a smooth delivery and courted classy gigs. He hated failure, and the one time that happened in his career, when Cooke’s unrehearsed attempt at supper club soul bombed with the Myron Cohen crowd at the Copacabana, Cooke became obsessed with having a triumphant return. He went into training like his friend Muhammad Ali, who, as Cassius Clay, had Cooke in the ring with him after he “shook up the world” by beating Sonny Liston in ’64. When Cooke headlined the Copa a few months later, his show was a knockout. Had he lived, Cooke looked on track to forge an urban concept album before Marvin Gaye wondered “What’s Goin’ On” or Stevie Wonder gave us “Music of My Mind” or Sly Stone declared “There’s Riot Goin’ On.” “Sam had a very exploratory mind,” Guralnick says. “He was always reading — everything from Aristotle to James Baldwin. He was always grasping for more knowledge because he wanted to expand the bounds of what he could be as a writer.” His elastic voice, which translated the sound of the men working on a chain gang into a soul masterpiece, was similarly ambitious. There was a mini-Cooke revival in the ’70s when Rod Stewart and Southside Johnny both adopted Cooke numbers “Twistin’ the Night Away” and “Havin’ a Party,” respectively, as their signature encore numbers. Then in the late-’80s critics rediscovered “the man who invented soul” with the reissue of 1963’s scintillating “Live at the Harlem Square Club.” But appreciation of Sam Cooke has only been a trickle compared with the nostalgic flood of worship for Buddy Holly, John Lennon, Hank Williams and other greats who passed before their time. “Sam’s been forgotten to a certain extent,” says Guralnick, “but this could be his time.” The new old album is a good starting place. Guralnick’s Cooke book, which won’t be out until at least 2004, should fan interest further. The story of Sam Cooke is not one of the man who had it all and lost it all on one miserably stupid night. It’s an ode to the power of the individual, a sonnet to an extraordinarily talented artist who was called back (in a morality play of biblical proportions) before his work was done. This entry was posted on August 29, 2011 at 5:10 pm	and is filed under Music. You can follow any responses to this entry through the RSS 2.0 feed. You can leave a response, or trackback from your own site.